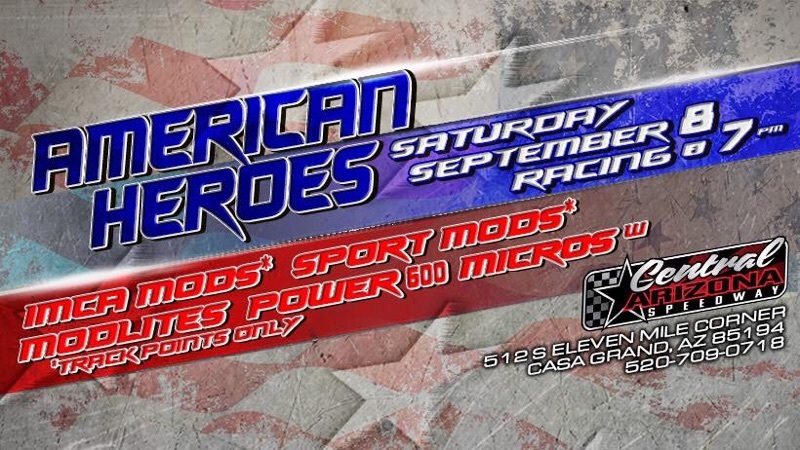 Wheel to Wheel action is what you will see this Saturday Night, Sept 8th at Central Arizona Speedway for the American Heroes Night. 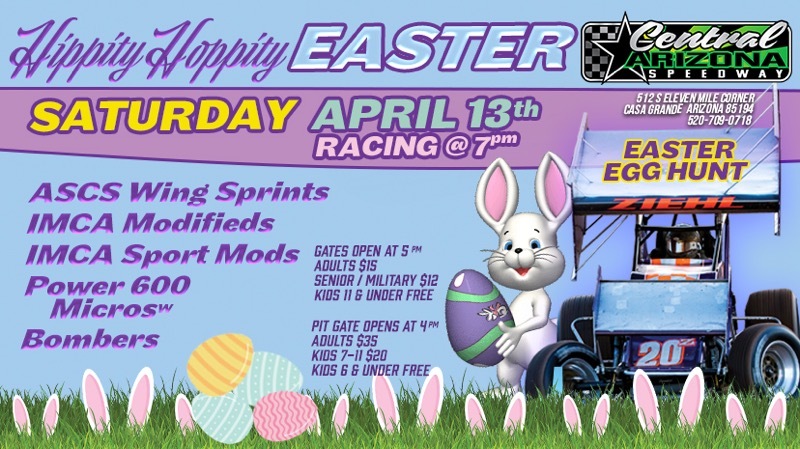 The fastest and most exciting 3/8 dirt track in the Southwest will host the IMCA Modifieds – IMCA Sport Modifieds – Modlites – Power 600 Series Micros. 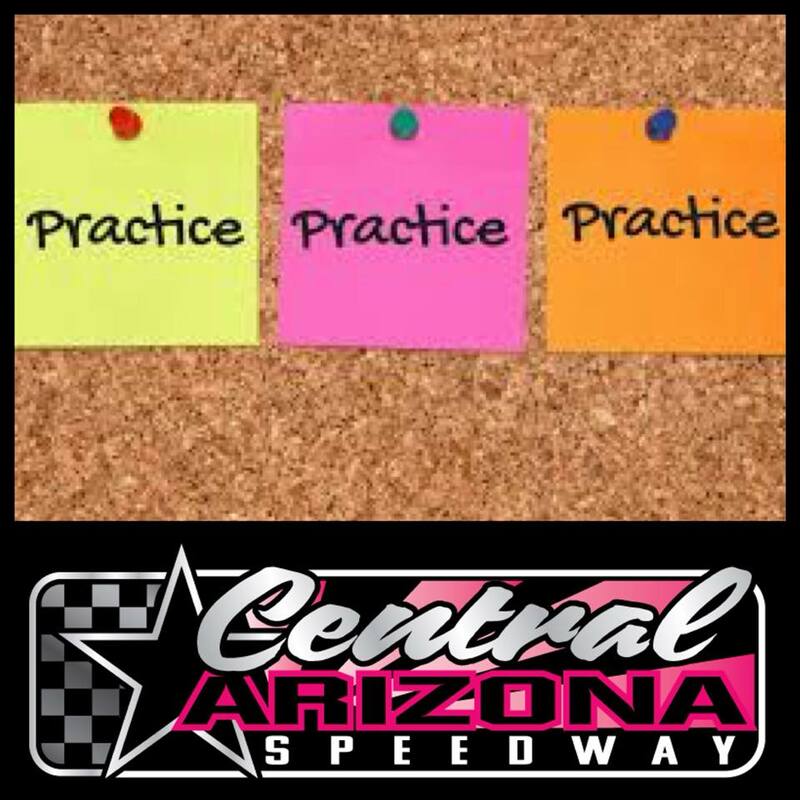 We will have practice Friday, August 31st, at Central Arizona Speedway from 6:00pm – 9:00pm. It is open to all divisions. Please tell your racing buddies. SUMMER BREAK! See You September 1st! Thank you all for your continued support to make Central Arizona a great success this year. Our Next race is on September 1st! Look forward to seeing you then!